There was a time when being in the coffee business simply meant providing a good cup of coffee at a fair price. And it’s still a safe bet that many coffee drinkers still want the best coffee for their money. But today when a customer places an order at a coffee bar, shops the coffee shelves at the supermarket, or visits a roaster’s website, package labels are likely to carry a logo advising them the coffee has been grown in a fair or sustainable manner. 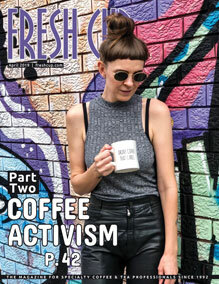 We live in the age of cause coffees, a time of a plethora of certifications like Fair Trade, USDA organic, the Smithsonian’s Bird Friendly, and more that claim a coffee has been cultivated, packaged, and delivered in a way that protects the environment and supports social and economic justice. Today roasters and retailers take many approaches and incur additional costs to promote causes that go beyond offering good quality coffee. As cause programs have grown over the years, questions have arisen about the effectiveness of these certifications and how much customers really care about them. A question that is rarely raised is: why is so much effort put into these practices? Fair Trade came on the scene two decades ago and helped usher in the idea of attaching a cause to a product as common as coffee. In the Fair Trade model, producers at co-ops charge a premium for the coffee and the extra charge is intended to support coffee workers and the environment. The success of Fair Trade brought along more certification programs. Beyond pushing for better wages, certifications advocate for social and environmental goals such as women’s empowerment, rainforest protection, and organic farming. Ric Rhinehart, executive director of the Specialty Coffee Association of America, describes all these programs as attempts to distribute the coffee industry’s revenue in a way that rewards all players in a fair manner. “These organizations are an indicator of the systemic deficiency that this industry suffers from,” he says, meaning that not enough money gets back to the farmer, especially smallholders. The certifications are an attempt to fix that problem. As certification programs have increased, a number of coffee professionals have questioned the reliability of the certifications. Rhinehart sees some of the criticisms as valid, but he is hesitant to say certifications have failed. “Like all things, it’s dramatically complicated by the fact that people are involved,” he says. He thinks the industry has done well to raise awareness among consumers about farmers’ conditions and the environment. The certifications’ success depends on consumers. According to a 2013 survey by Cone Communications, more than ninety percent of the American public say they want businesses to support social and environmental issues in some capacity. In addition, eighty-eight percent are eager to hear from companies about those efforts. Ninety-one percent say they want to see more products, services, and retailers support worthy issues, which was up eight percentage points since 2010. While consumers want these things, they aren’t familiar with certifications. That’s according to the National Coffee Association’s annual trends survey. Depending on the certification, between seventy-one and ninety-three percent of consumers have never bought any coffees bearing any of the major certifications. Those numbers include people who have never even heard of the certification. It’s possible some of these people bought a certified coffee, but they didn’t mean to or remember doing it. The survey found that three certified coffees dominate the market. Among people who buy certified coffees, USDA organic makes up twenty-three percent of the purchases, with Fair Trade at twenty-two percent and Rainforest Alliance at eighteen-percent of purchases. While the NCA survey reveals that certifications are not widely recognized, it also indicates coffee drinkers are buying more certified coffee. From 2013 to 2014, among those buying organic the percent buying it regularly increased from eighteen percent to thirty-five percent. For those who regularly bought Fair Trade, the percent rose from fifteen percent to twenty-two. The gains for Rainforest Alliance were eight percent to eighteen percent. Many coffee professionals say organic coffee is the fastest growing part of their business, but they attribute this to its association with health and quality. “It’s not about the environment as much,” says Chris Nachtrieb, owner of Chris Coffee Service, a specialty roaster and equipment seller in Albany, New York. In addition, the rising cost of coffee has shrunk the price gap between organic and non-organic coffee, making organic a better consumer value. Coffee professionals also recognize the high credibility organic certification has with consumers. One reason they cite is that the organic label is government regulated. The social and environmental benefits, though, are becoming better understood. “More and more, it is tying in with all of these things,” says Kelly Zeissner, vice president of America’s Best Coffee Roasting Company in Oakland. “The more you’re aware of the agricultural process and how the workers are treated and not having to handle pesticides, it’s all tied in. It’s not just about health” benefits to the consumer. For other certifications, views are much less uniform. Fair Trade has emerged as the most controversial certification. 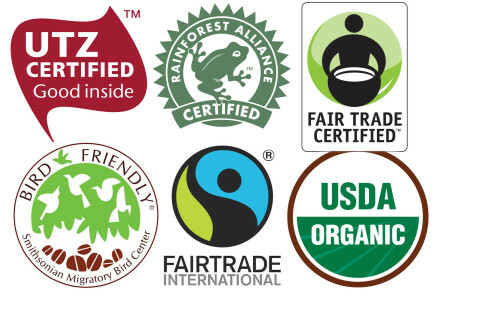 As Fair Trade programs have grown and the messy divorce between Fair Trade USA and Fairtrade International aired many recriminations from within the movement, some professionals have questioned the certifications’ reliability and benefit to the industry. Some believe that non-certified coffee can accomplish the goals of certified coffee. Gary Smith, owner of Mukilteo Coffee Roasters, is among those championing direct trade as a better way to promote socially responsible and environmentally sustainable coffee. The thirty-year coffee veteran was an early proponent of Fair Trade coffee, but he became wary of the certification. As certification organizations grew, Smith felt the funding of these organizations became more of their focus than the cause they espoused. “The more I looked into it, the more I got disgusted,” he says. While the certifications are not well understood by customers, particularly the Bird Friendly coffees, Rajenden is committed to educating them. He says that while growing up in a farm community he learned to care about the environment and about animals. “It’s a bit more expensive, but it’s worse if we don’t support something like that. It is indicative of what you want to do with your life,” he says. Rajenden is a big supporter of the Bird Friendly program from the Smithsonian Migratory Bird Center. 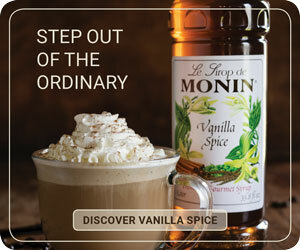 In one label, the coffee is covered by several certifications. In addition to being inspected to USDA organic standards, certified coffee is shade-gown, which causes the beans to ripen slowly and develop more complex flavors. The growing practice also conserves forest biodiversity, provides a healthier work environment, protects waterways, and reduces soil erosion. The program also provides producers access to credit to use sustainable technologies. “The certification is the only way the end user knows this coffee comes from where it says it comes from,” says Bill Wilson, owner of Birds and Beans, a Boston roaster that only carries organic, Fair Trade, and Bird Friendly certified coffees. Among his certifications, Wilson says organic is the most recognized by the consumer. 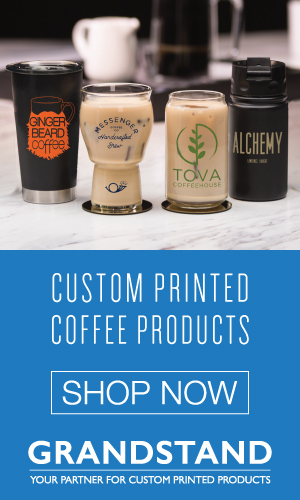 But he sees Bird Friendly as environmentally stricter than organic certifications and considers it the “platinum” coffee certification program. In time, he believes this lesser known certification will be better understood. Though there is no certifying body for direct trade, what draws many roasters to the practice is their own connections to the farmers, often making their cause the wellbeing of a single family or community. Because the proof of the relationship depends on the roaster’s word, many small- and medium-sized outfits pull off the herculean feat of providing detailed information about every farmer they work with, often in impressive formats. A few of coffee’s bigger companies have taken that effort to more systematic levels. Counter Culture Coffee in Durham, North Carolina, has developed its own certification program designed to promote social goals. “I think the philosophy is very important to our company,” says Kim Elena Ionescu, coffee buyer and sustainability manager. The company initially developed the program because it had issues with Fair Trade’s farm size qualifications. Ionescu says that prior to 2007, only small farms qualified to belong to the Fair Trade cooperatives. Her company did not think it was right to imply that larger farms were being unfair to workers. The company hires an external auditor on an annual basis to verify compliance with four quantifiable measures: personal, direct communication with farmers; fair and sustainable prices paid to farmers; cup quality; and supply chain transparency. The company posts an annual, detailed report on its website. Ionescu says finding the right certification organization is challenging, and that certification isn’t well understood by the public. “Our reasoning for doing it has never been because consumers are demanding it,” she says. The company self-ce rtifies its coffee for reasons of principle, not commercial reasons, she says. While this is obviously a cost, Ionescu says the report has improved their product. “It has helped us to be better coffee buyers,” she says. She says sixty percent of the coffee they sell is direct-trade-certified by the outside organization, though she feels an additional twenty percent fits the requirements. While direct trade has emerged as an alternative to Fair Trade, some say Fair Trade and direct trade actually complement each other. Offering this view is Jennifer Gallegos, director of business development for coffee at Fair Trade USA. 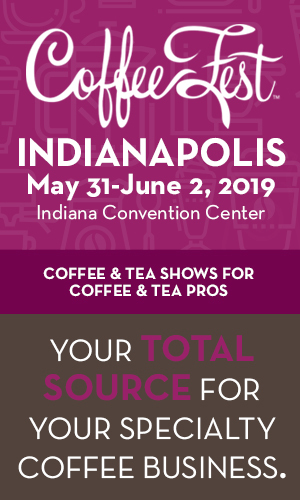 While direct trade has gained a lot of interest among coffee professionals, Gallegos is quick to point out that Fair Trade continues to grow every year. Two decades’ worth of cause coffee development has taken the industry to a crossroads with an uncertain future. Causes have grown in popularity, but they still have yet to command a significant share of the market. As the values and impact of some certifications are questioned or other causes are identified, more certifications are created, requiring more customer education. When deciding whether to buy or serve cause coffees, roasters and café owners need to understand that while some customers will buy their coffee because it bears a specific emblem most won’t know what it means, if they even see it. Doing good is easiest when it’s profitable, but the best reason for selling coffees that promote a cause might be that you believe in it yourself. —Elliot Maras is the managing editor for Food Logistics magazine and the former editor of Automatic Merchandiser.